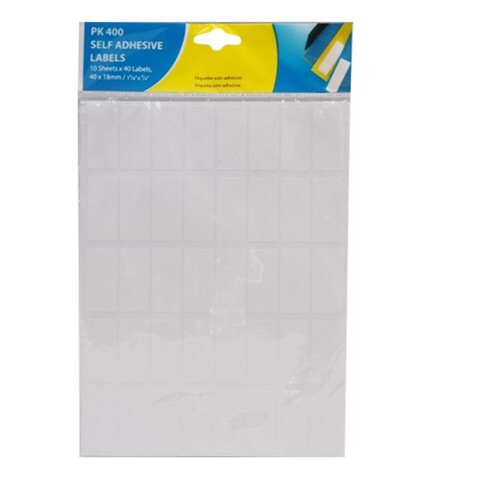 Adhesive Labels 40X18Mm 400Pk. Backing Sheet 167 x 223mm: 40 x 18mm Label. White Rectangular Label. Paper | Adhesive | Separation Paper. 0 Packaging: Printed OPP Bag.